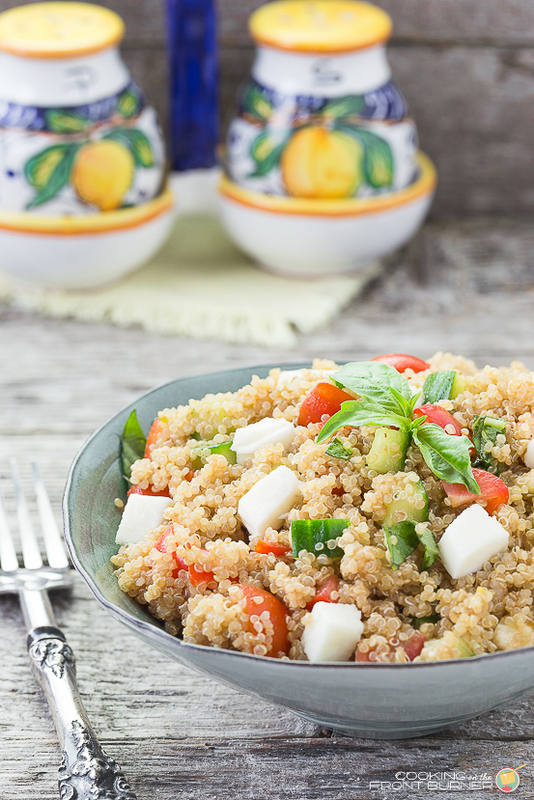 This Italian Quinoa Salad is super tasty and filling – you will love how quick it comes together! We’ve been eating a lot lately – there I’m just putting it out there! So now you know! With just getting back from vacation, visits from the kids, a retirement party, charity fundraiser and just NOT wanting to watch it, oh boy it is time to get back on track. This past weekend I stocked up on fresh veggies, fruits, lean meats and whole grains. 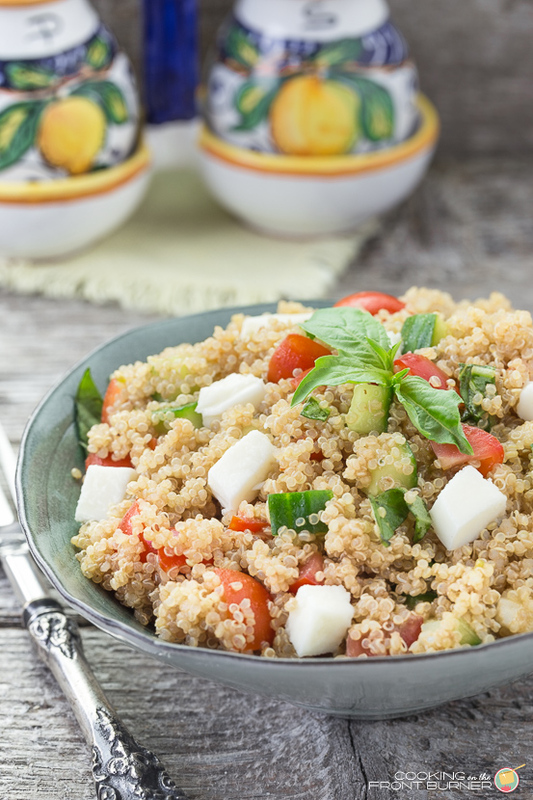 Hence this tasty quinoa creation with an Italian flair! Now I’m sure some of you are thinking you can’t wait until summer, your gardens come in and you can have fresh produce at your door step. Right? Well, I also have to admit that we are having no garden this year. Shocking after having one for almost 20 years but with the 2 of us, I’ve made enough salsa to provide for a small army and put up enough tomatoes for gallons of sauce. We (more I) decided to call it quits. The DIY Guy was really OK with it – we both were getting tired of weeding, watering and tending to the veggies. 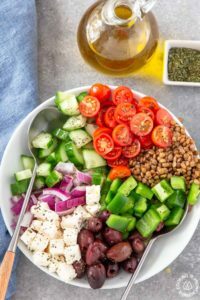 I will plan on having some herb pots on the deck and for anything else, I’ll be heading down to our wonderful farmer’s market because I know I’ll be wanting to make this recipe all summer long. Keep chilled for at least 90 minutes for flavors to blend. I’m sure you are wanting to grab a fork and dig right in! Be sure to put this one on your picnic list. And speaking of picnics, our Best of the Weekend party turned 100 (I know we all look so young!) 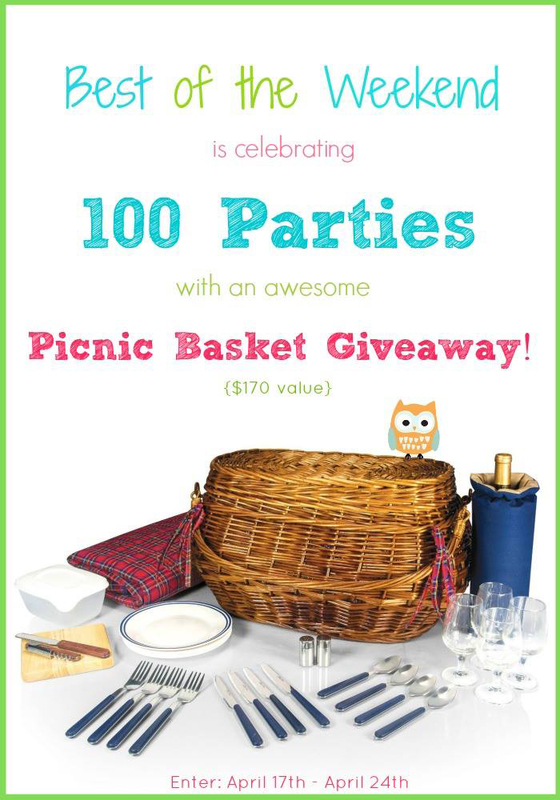 We are giving away this awesome picnic set – ants not invited! Good luck! No garden, huh? I'll bet it must be hard staying on top of it, and I hate wasting food! I really want one, but I'm afraid it'll stress me out trying to use everything up. 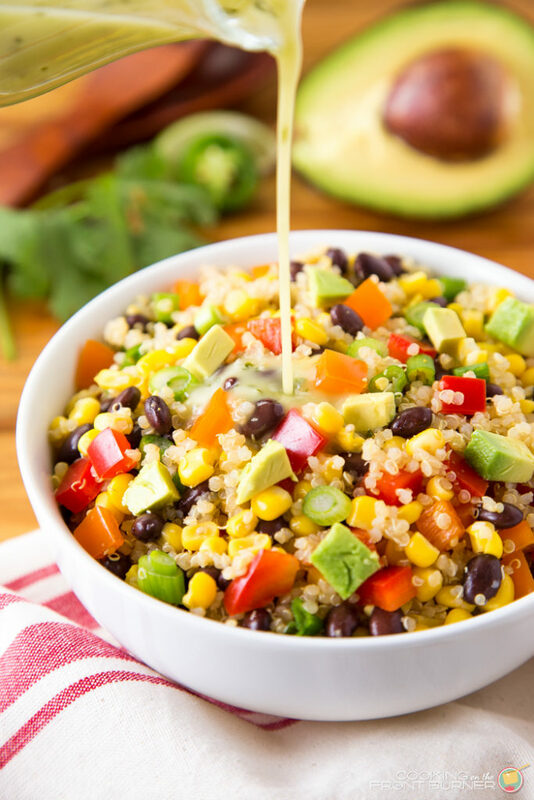 haha This is the best kind of meal to get back on track with, Deb — it looks delicious! 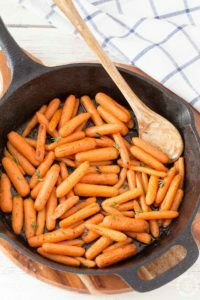 This dish looks so light and fresh, Deb! Great way to get back on track! 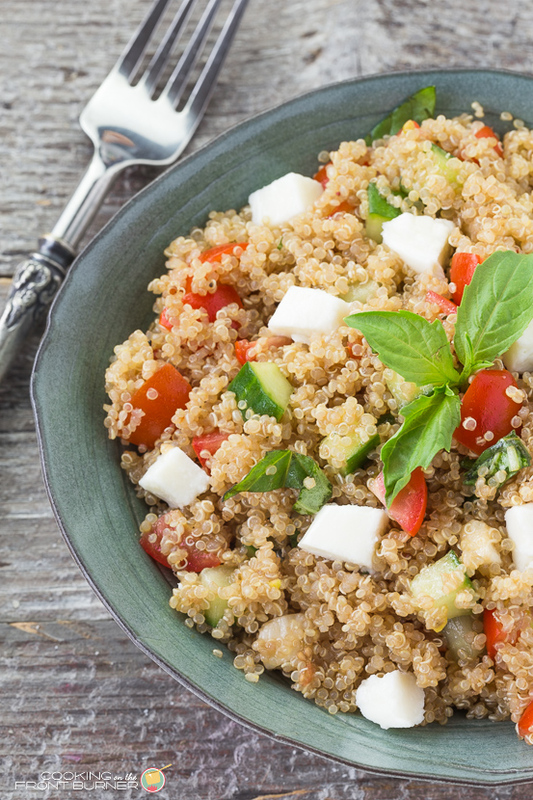 Love quinoa and this is a gorgeous salad! 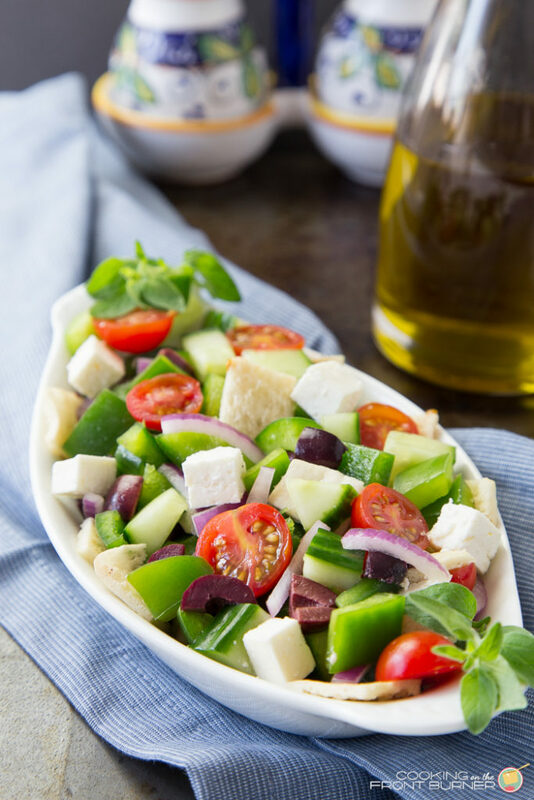 This salad reminds me a lot of the one I purchase at the grocery store. It will be nice to make my own from now on! Gorgeous! 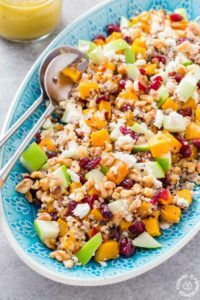 I love quinoa salads and this sounds so light and fresh! I hear you, the last month I have not been eating very clean, and I have been working to get back on track too. 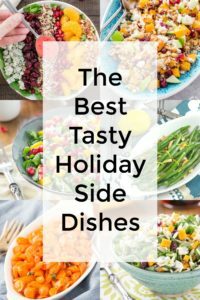 This recipe looks perfect for doing just that! Great idea! 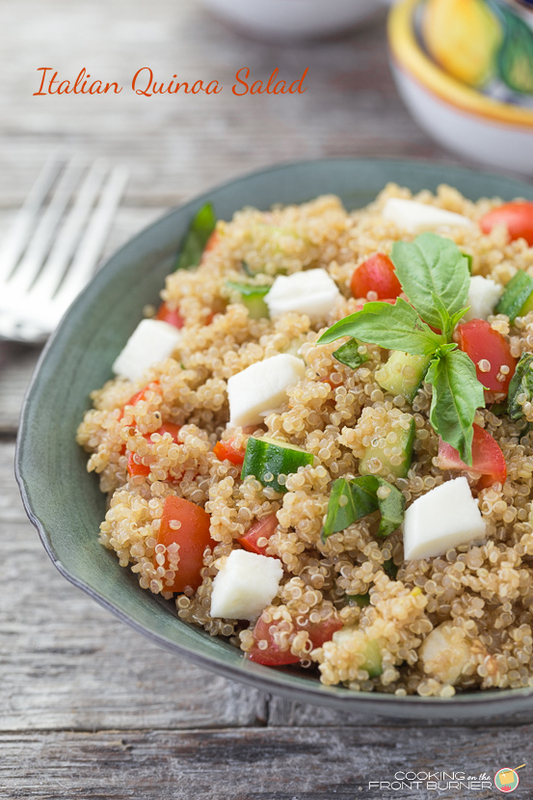 I love the simplicity of this and the classic flavors….a good way to convert people still on the fence about quinoa!! Hand me a fork, please! This is my kind of meal!